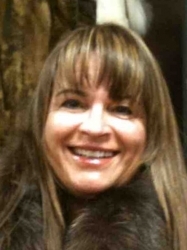 South Lake Tahoe, CA, March 14, 2019 --(PR.com)-- Kelley R. Gardner of South Lake Tahoe, California has been honored as the Mentor of the Quarter for the first quarter of 2019 by P.O.W.E.R. (Professional Organization of Women of Excellence Recognized) for her outstanding contributions and achievements in the field of healthcare. This professional woman is a positive role model. She is dependable, supportive and trustworthy. She is willing to advise and guide others to help them succeed in their industry. Kelley Gardner is the owner and founder of Kelley Gardner, CRNA, Inc. She has over 34 years of experience in the healthcare field and is passionate about providing safe anesthesia for all patients. She is certified by the National Board of the American Association of Nurse Anesthetists. She serves as a coordinator and owner of all CRNA groups delivering high risk anesthesia in Sacramento, California and has developed a reputation as being one of the finest anesthetists in the field. Her company is also performing IV sedation for cataract surgeries. Kelley is now focusing her responsibilities more on the administrative aspects of her business. After obtaining her B.S.N. from the University of Utah School of Nursing in 1984, Kelley worked as a trauma emergency room nurse until she started graduate school. She earned her M.S. in Nurse Anesthesia from the Abbott Northwestern School of Nurse Anesthesia in 1991. She worked at Kaiser Hospital prior to opening her own practice. Kelley has worked in many underserved rural areas and volunteers her anesthesia skills for medical missions in Haiti. Kelley specializes in obstetrics, high risk obstetrical anesthesia and general anesthesia. She is a member of the National Association of Nurse Anesthetists. Kelley is also an independent distributor and consultant for Kyani, which promotes natural health and wellness products. In her spare time, she enjoys snow skiing, golfing, water color painting and sporting clay.